Toggl is a popular time-tracking app but if you want a more powerful tool for time tracking, you’ll have to shop around a bit. In this post, we’ll see the alternatives to Toggle, despite its beautiful and responsive UI, it may not be the best tool for you. Toggl time tracking offers a simple and friendly solution for tracking your time. It’s web-based but does have apps for desktop, iOS, and Android that will sync together in real time. 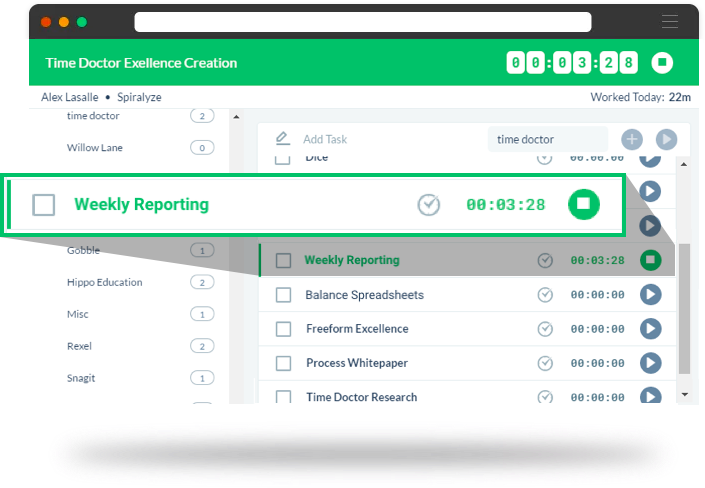 Toggl is there for you, but its free version lacks many features which are extremely required in project management, for example, automatic timesheet management, receiving reports straight to your e-mail, and more. 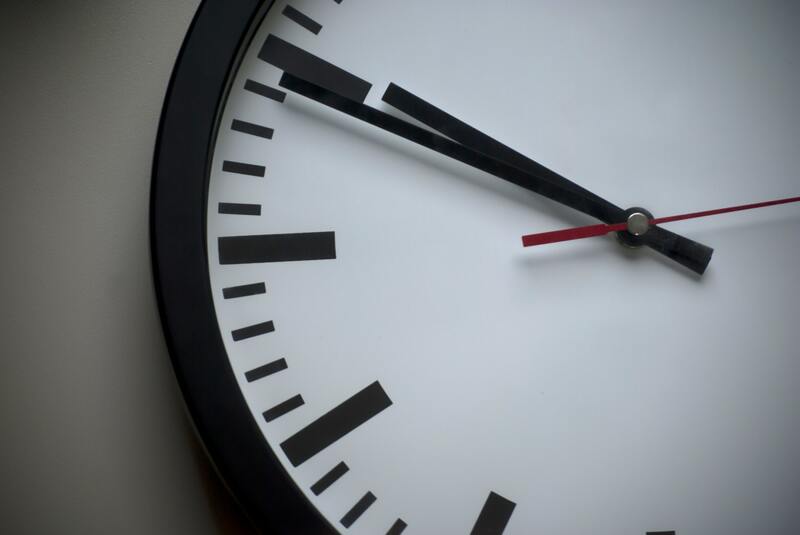 So, which is the right time tracking tool for you and your business? Look no further. We’ve put together a list of tools that will be a better fit than Toggl for your business. Trusted by over 2,000 businesses in more than 70 countries, Everhour has a better UI compared to Toggl. Bring time tracking in your work environment to see who is working more, build reports, and track time right away. 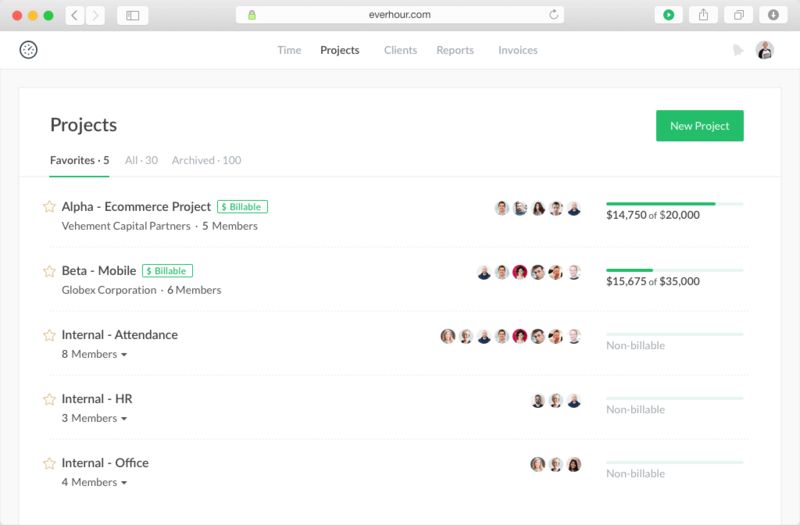 ProofHub comes across as the complete project management tool! 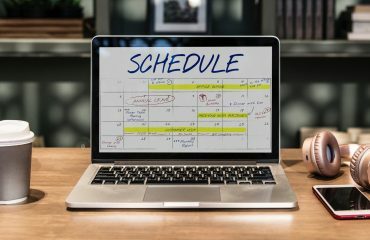 It lets teams know how they are are utilizing their time and for managers to get timesheets ready. You can record every minute your team members are spending at work so that they can manage time efficiently. Also, bill clients accurately using the time data. Pricing: ProofHub is priced along 2 tiers and can be billed annually for a 10% discount. Ultimate control plan at $89/month billed annually. Sign up now for FREE trial! Monitor employee activities during work hours to create an invoice and bill your clients on the basis of hours spent. Hubstaff is a time tracking software to track time through simple desktop, web, and mobile apps, then manage invoicing, reporting and more through one dashboard. Available for Mac, Windows, Linux, and iOS. Pricing: Hubstaff time tracking software is FREE for 14 days with full features. The premium plan is available at a monthly rate of $10 per user, and $8.25 if paid annually! Rescue Time is a similar concept to Toggl but offers more advanced features. To monitor how productive your team is performing, RescueTime is an excellent choice. It easy to get distracted while working, so you can set goals on this app so you can focus and be more productive. In addition, you can enable FocusTime, wherein you won’t be able to visit any “distracting” websites. It gives you insight where the hours and minutes of your day are spent. Pricing: RescueTime offers two tiers of service: Lite (free) and Premium ($9 per month or $72 per year). 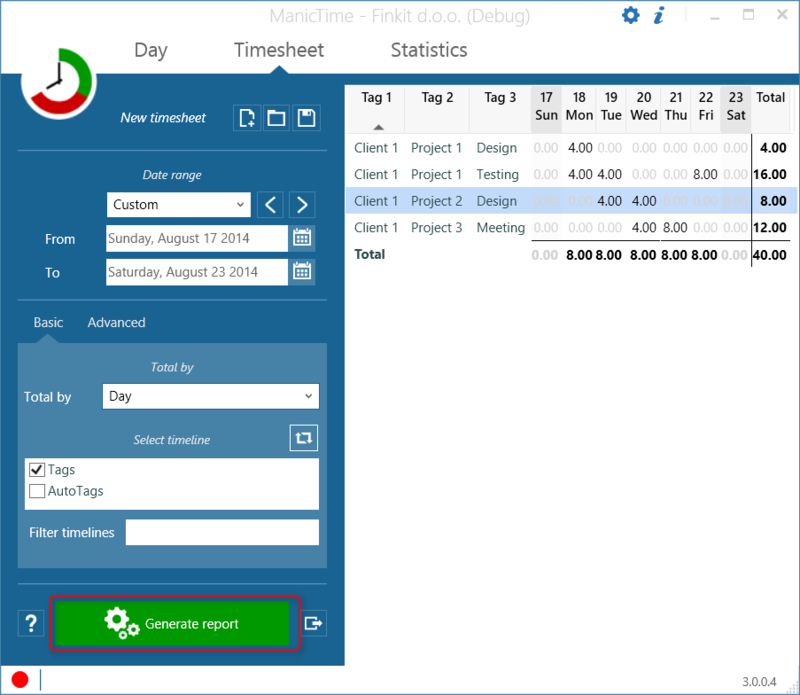 ManicTime is a great way to keep track of your work while you are on the go. You will easily know who is working too little and too much. 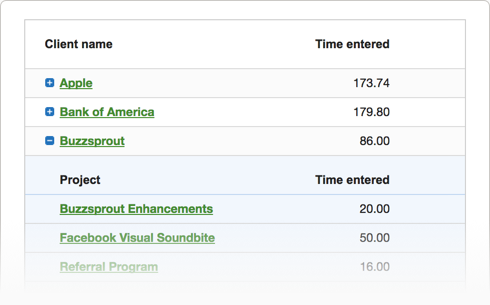 With ManicTime, figure out how much time you spend on projects to bill your clients accurately. It will also remember which websites you’ve visited and you’ve worked on which documents. Mavenlink is a service (SaaS) project-delivery system that automates business best practices for service providers. The cloud application provides a single workspace for executives, project managers, team collaborators, and contract resources. Mavenlink clients reside in more than 100 countries. $19/month for five users. Try any plan for free today! Time Doctor is time management software for employees that track time and activities. It is a valuable tool for distributed or remote teams. With smart features to keep users focused on important tasks, Timedoctor is used by many businesses. Pricing: A $9.99-per-user-per-month custom plan that gives access to the whole Time Doctor suite. Easily start and stop your timers on the go. 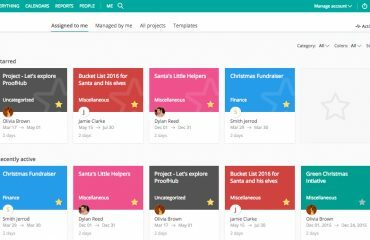 In just a few clicks you can increase your personal and group productivity, save time, and manage your projects. With time tracking features in Timeneye, you can easily see where time is being wasted to reallocate your time more effectively. Pricing: Pricing plans are designed to suit every need. Pro plan at $6/user /month paid yearly. Sign up today and start a free trial! Harvest operates more like a stopwatch. It is a powerful time tracking tool that includes invoicing. This system is trusted by 50,000+ business. Harvest has apps for iOS and Android devices, Macs, as well as a web app that comes with extensions for Chrome and Safari. Pricing: Harvest offers subscription pricing and is available in three pricing plans – Free, Solo, and Team, at $12/person per month. 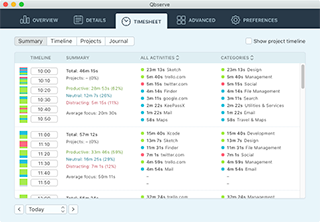 Qbserve gives you a picture of your time spending patterns. It provides instant feedback on your performance by watching the sites and apps you use. Pricing: One-time charge of $40 for Qbserve.Try it free for 10 days. Price: $8/month for a single user or $5 per user/month for teams. This application tracks your time against your budgets. Tick is pretty similar to RescueTime; but it’s primarily meant for companies who employ on-site, hourly workers. 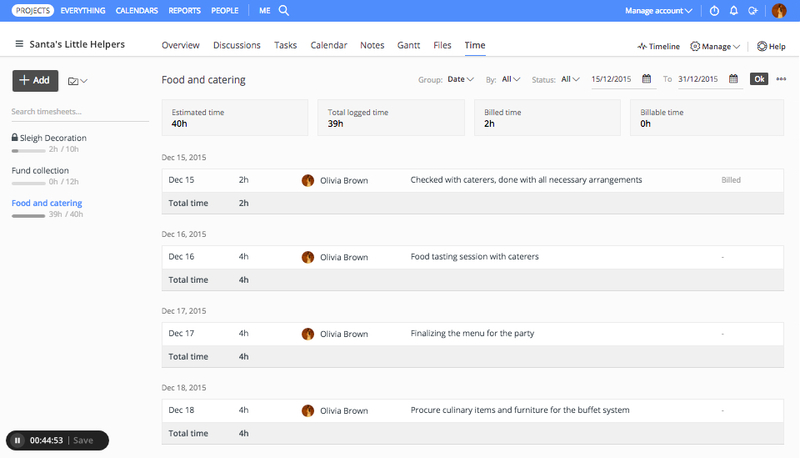 It turns time management software into a streamlined communication tool. Price: No contracts. Free for 1 project or $149 for unlimited projects. What do you consider while choosing the right software for your business? Make a list of your requirements and start using the right software.